Happy Valentine’s Day! We have had a great start to the competition season, costumes are coming in and recital dances will start being taught shortly. 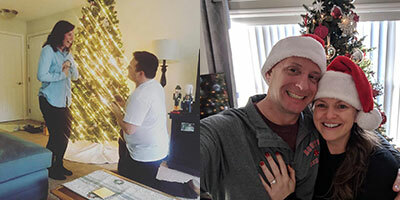 We also want to share some love on Valentine’s Day with Miss Katie and Miss Jamie C. who both recently got engaged. Congratulations! 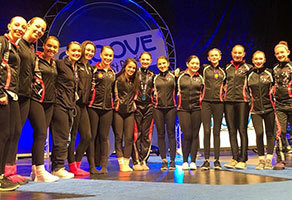 Competition Team Takes Home Top Award – Our 2018-2019 Competition Dance Team competed at its first regional competition this past weekend. The Groove Dance Competition started Friday afternoon and ended Sunday evening. Dancers competed their dances and took master classes. The solos, duos and groups did very well. 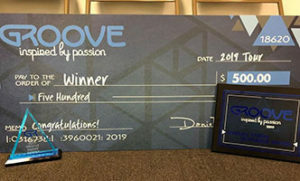 The big award of the competition, called the Groove Award, is awarded to the studio with the highest score from averaging their 5 highest scoring dances. 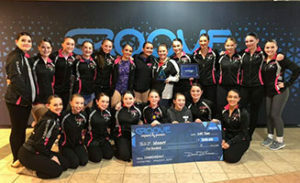 Greendale Dance Academy was the Winner of the Groove Award! Congratulations dancers!! Valentine’s Day – Wear Red to dance on Valentine’s Day! Recital Costumes – Recital costumes were ordered awhile back and are slowly being delivered. As they are received, we will try them on the dancers and send them home. Remember, you are responsible for keeping the costume in new condition for the recital. We anticipate receiving costumes through the end of April. So if your dancer hasn’t received their costume, it’s on the way. Parking – Please park in a parking spot. If picking up, please DO NOT park in the drop/pick up line. Plan to arrive 5-10 minutes after class ends. Your child will never be out early and they will always need time to exit class, gather their belongings and make their way out to you. Arriving early only blocks traffic. Spring Toddler Class – YES! Our spring toddler class has openings. It meets Tuesdays from 11-12. Cost is only $50 TOTAL through the end of MAY.